Sean Spicer isn't taking your questions. For two days in a row, since returning from President Trump's trip abroad, the White House press secretary has held uncharacteristically short press briefings in which he claimed not to know the answer to questions, outsourced questions to other officials or dismissed the premise of questions entirely. Both briefings included less than 20 minutes for questions -- far less than most prior briefings -- and ended with Spicer abruptly exiting the room to the consternation of reporters. At Wednesday's briefing, which was off-camera, one reporter could be heard shouting after the departing press secretary, "How short are these gonna be!?" But the evasion may also reflect what sources close to Spicer describe as the White House's waning patience with the press corps. As Spicer stated Tuesday, both he and the president are frustrated with what the press secretary has described as a preponderance of fake and false news stories. The way Spicer sees it, the sources close to him said, is that many reporters are obsessed with palace intrigue and minutiae, and are waging a smear campaign against the president. Spicer is also frustrated by the media's treatment of him, the sources said. He chafes at reports suggesting Trump is planning to shake up the communications team because he isn't satisfied with Spicer's performance. He is particularly irked by the way the media interpreted his absence from Trump's visit with the Pope as the president snubbing him. "I don't know how any comms person could not be frustrated in that position right now given the daily drama," a source close to him said. At both Tuesday and Wednesday's briefings, Spicer refused to directly answer several questions. Going forward, he said, all questions about the FBI investigation into Russia would have to be referred to outside counsel. On an inquiry about the president's views on climate change, a subject of discussion for some time, he said he would have to check with the president. One question he simply didn't answer on the grounds that he didn't agree with its premise. When Spicer accused the media of propagating fake and false stories during Tuesday's briefing, he provided a single inaccurate tweet about a minor story as evidence then refused to offer more examples. "I didn't come here with a list of things," he said. 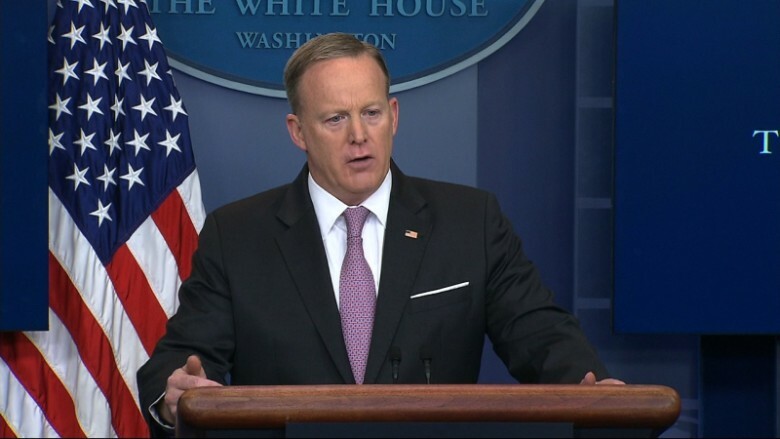 Spicer's evasive posture has given many pundits an opening to do one of the things that have him so frustrated: speculate about impending changes to the White House press briefing or a reorganization of the communications team, including formalizing the reduced length of the Q&A portion. The fact that Michael Dubke, the White House's communications director, resigned earlier this month, and that his decision became public Tuesday, has only stoked such speculation. But some of the sources close to Spicer warned that scuttlebutt about impending shakeups has been a feature of Trump's tenure in the White House since the beginning, and yet little has actually shaken up. For the foreseeable future, they say, Spicer is White House press secretary and will continue to hold press briefings. Should the White House ever get around to changing its communications strategy, one suggestion put forward by the president himself in an interview with NBC News would see Trump giving briefings to reporters once every two weeks, in lieu of the daily ritual hosted by Spicer. A new survey from Monmouth University says that 42% of Americans believe Spicer does more harm than good when he speaks on behalf of the administration, while only 28% see him as helping rather than harming his boss. That said, 61% of Americans believe Trump does more harm than good when speaking on his own behalf, while 33% feel he does more good than bad.